Hat Yai Housing Markets, Worsening Over Time. Provincial housing developments like Hat Yai have been slow down for over a year already. When will the market recover in the near future or not? 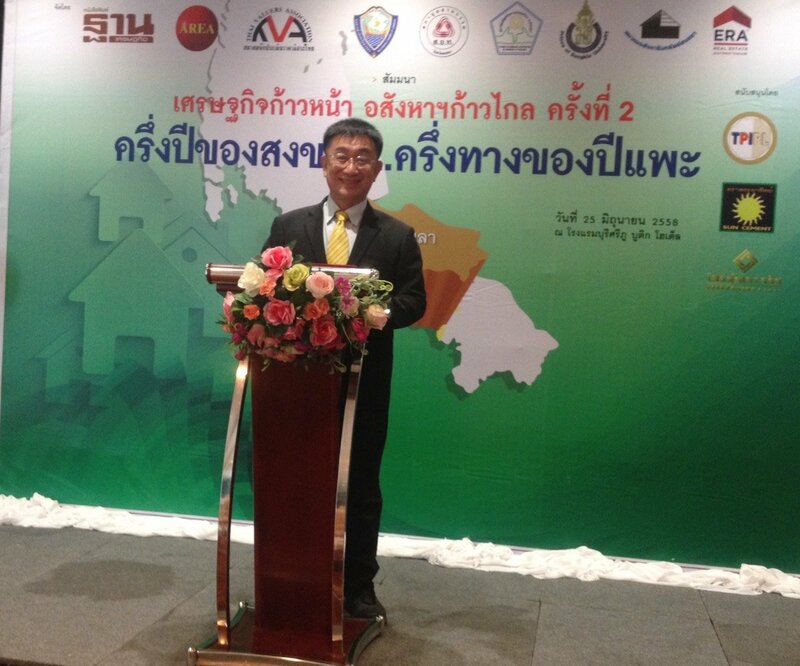 On June 25, 2015, Dr.Sopon Pornchokchai, President, Agency for Real Estate Affairs (www.area.co.th) helped organize a provincial housing seminar in Hat Yai and reported the latest survey of housing markets there. As of end 2014, there were 228 housing projects found at a total number of 15,598 units with the total value of Baht 44.767 billion. It was found that a unit of housing in Hat Yai was offered at Baht 2.87 million. The number of units left was 2,458. The largest proportion of the supplies (37%) were offered at Baht 1-2 million. By type, 45% of the supplies were condominiums. Detached houses constituted some 22% and townhouses were 18% in the markets. AREA divided Hat Yai into 5 zones. The largest zone was in the inner city area where there were 4,776 units or 31% of the total supplies. 80% of the supplies were condominium units particularly those priced at Baht 1-2 million per unit. Whereas Zone 4 (nearby the airport) constituted 17% of the total supplies. Most of the units were detached houses constituting 54% of the supplies in this zone. In 2014, the newly launched proejects were 33 with a total number of units of 1,166 valuedat Baht 4.001 billion or Baht 3.4 million per unit. On the other hand, some 2,079 units at a total value of Baht 6.303 billion were sold at an average price of Bat 3.03 million. It could be observed that the average price of units sold is lower than that of the units offered in 2014. This implies that the sales were centred on lower-priced units. According to the survey team of AREA, Dr.Sopon summarized that the market would be on the bust period for another year. After the presentation, many developers also agreed to Dr.Sopon's presentation and expected that the shrinkage of the markets will still continue in 2016. Hopefully, it would not last over two years.